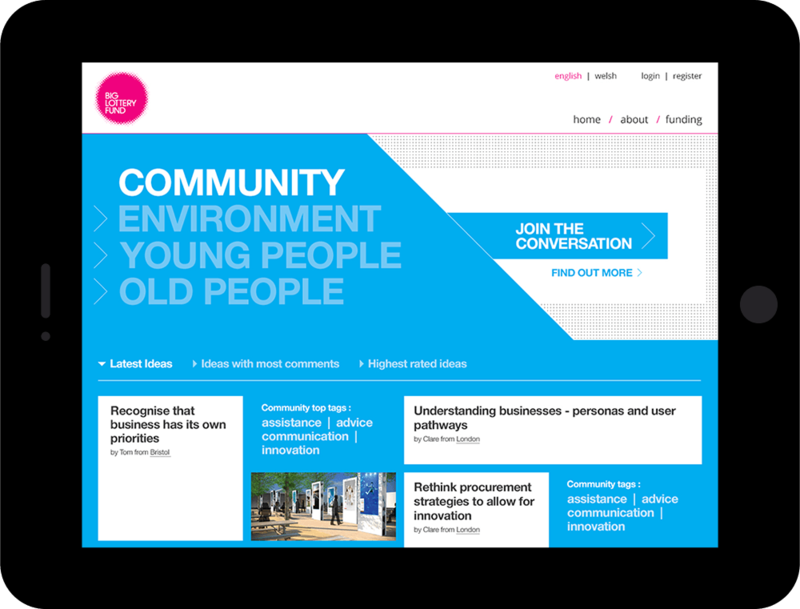 Whilst freelancing at Delib, I did the designs and UX for the new Big Lottery Fund version of their Dialogue app. 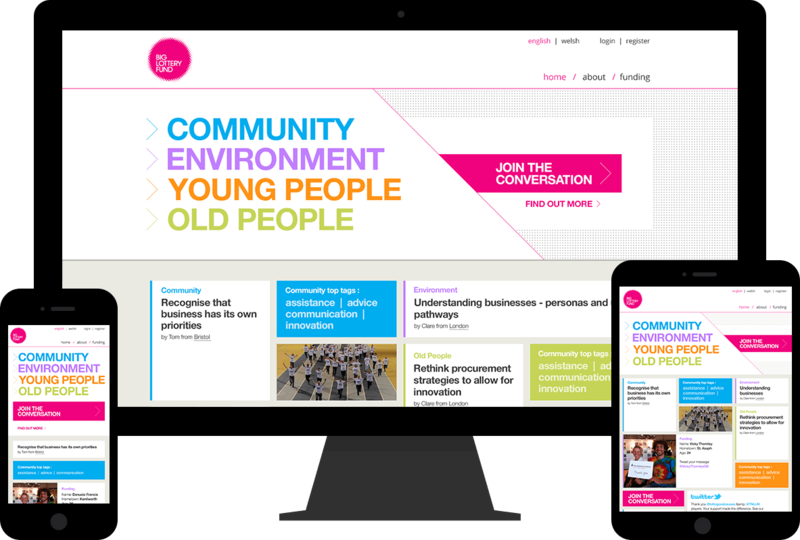 This was used to engage people with the topics surrounding lottery funding. Using a card-based design we kept a clean interface so that it could work easily accross platforms. We also colour coded their four main areas of discussion to highlight what category each story was in.